This page summarises the activities of IIED, its researchers and partners during the 14th meeting of the Conference of the Parties to the Convention on Biological Diversity (CBD COP14) in Sharm El-Sheikh, Egypt from 17-29 November 2018. Every other year parties to the Convention on Biological Diversity meet to discuss the plans and outcomes of the treaty. The 14th meeting of the Conference of the Parties to the Convention on Biological Diversity (CBD COP14) takes place in in Sharm El-Sheikh, Egypt from 17-29 November 2018. This page summarises IIED's activities during the two-week gathering, where some of our researchers and partners will host and speak at COP side events. As part of the Collaborative Partnership on Sustainable Wildlife Management (CPW), IIED is organising the 2nd Wildlife Forum on the margins of the CBD COP14. Under the central theme 'Sustainable Use for Conservation and Livelihoods’', the forum will bring together stakeholders from across the globe to deliberate on key matters on sustainable use and conservation and stimulate debate to advance policy dialogues. The event will generate key recommendations to send to CBD COP14, contributions to the post-2020 agenda, and recommendations on sustainable wildlife management for the Nature and Culture Summit, held under the auspices of the Joint Programme of Work between the Convention on Biological Diversity and UNESCO on the Links between Biological and Cultural Diversity (2001-2020), from 22-24 November. The forum's closing plenary will be followed by the Markhor Award ceremony, with the announcement of the winner and a cocktail reception. The award is granted by the International Council for Game and Wildlife Conservation (CIC) and celebrates outstanding conservation performance by individuals, private or public institutions, enterprises, or projects that link the conservation of biodiversity to human livelihood, through the principles of sustainable use. More details, including the programme and how to register, are on the forum website. 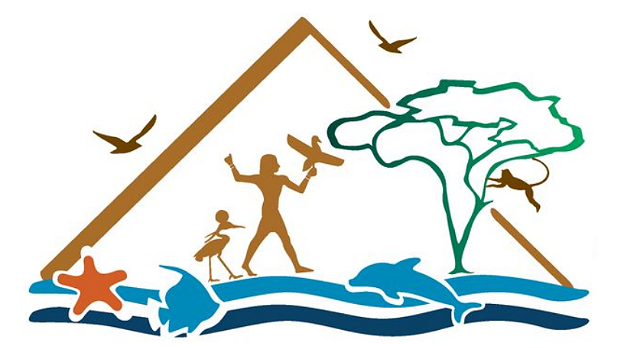 The Nature and Culture Summit is held under the auspices of the Joint Programme of Work between the Convention on Biological Diversity and UNESCO on the Links between Biological and Cultural Diversity (2001-2020). The summit is an invitation to states, stakeholders and specialised agencies to reflect on the achievements made over the last decade on finding synergies between biological and cultural diversity, between science and indigenous knowledge systems. The summit is an opportunity for reflection, dialogue and developing ways of cooperation as we move forward into the post-2020 period and towards the Sustainable Development Goals. Among those attending are IIED principal researcher Krystyna Swiderska. The Darwin Initiative is a UK funding grant scheme that that supports biodiversity projects in developing countries. The projects support action in developing countries to meet obligations under the CBD and other biodiversity-related conventions, and have a direct positive environmental and community-level impact. The Darwin Initiative was launched at the Rio Summit and has therefore also recently celebrated its 25th birthday alongside the CBD. Since its establishment in 1992, the Darwin Initiative has funded 1,123 projects in 159 countries, with a total £153 million of grant investment so far. With preparations under way in the development of a global post-2020 strategic framework for biodiversity, it is now an opportune moment to look at what the initiative has achieved so far, what lessons can be taken, and to look forward at its future role . This side event will demonstrate the role of the Darwin Initiative in addressing topics such as biodiversity and climate change, marine and coastal biodiversity, invasive alien species and access, and benefit sharing. We will hear from those implementing Darwin Initiative projects on the ground and about the opportunities for future projects and how to get involved. Governance is key to the success of efforts to enhance effectiveness and equity of conservation in protected and conserved areas as called for in Aichi Target 11. This is why parties have resolved to promote and undertake action, such as assessing governance and sharing lessons learned about effective governance models (COP XIII/2). Fully implementing the proposed “voluntary guidance on effective governance models for management of protected areas, including equity” (CBD/COP/14/2/Item 24) (PDF) would greatly advance governance diversity and quality. In many situations a step-wise approach can be taken, starting with actions that are relatively easy to implement. Such actions can be identified through systems- and site-level governance assessments that fully engage rights-holders and stakeholders. This side event presents early experience of site-level governance assessment using a multi-stakeholder methodology developed by IIED in cooperation with IUCN and GIZ, with support from the Federal German Ministry for Economic Cooperation and Development (BMZ). Partners from the Philippines and Uganda will share and discuss lessons learned from the assessments and the response in terms of actions to strengthen governance, equity and effectiveness.